You will have to solve puzzles, open padlocks and think together. It’s very important to communicate and speak to the other players. Tell them what you see, what you understand. It will help you ! And don’t hesitate to search everywhere. 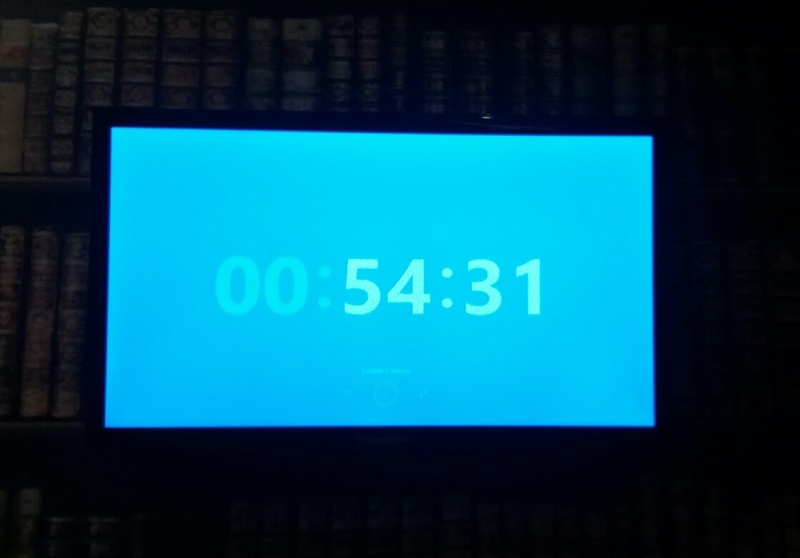 In a room, there is a television in which you can see the countdown (you will have one hour, no more time to complete your mission). Don’t worry, we can help you. Indeed, we can see and listen to you. Indeed, there are several cameras in the rooms, which allow us to send you message and clues on the television, with a sound signal.